With money from the holidays, I decided to get Lego Dimensions. I am a huge fan of Lego. I’ve played with them for as long as I can remember. Lego has allowed me to build unique vehicles straight from my imagination. Just about anything can be adapted into Lego. Star Wars, Marvel, DC, and so much more. 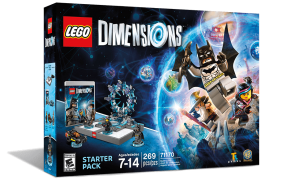 Now, Lego has made the leap to toys to life with Lego Dimensions. The Starter Pack of Lego Dimensions comes with a base, 3 characters, 1 vehicle, and of course, Lego. First, you get to build the Dimensions portal, which looks really cool. Then, you get to play the story mode with Batman (DC Comics), WyldStyle (The Lego Movie), and Gandalf the Grey (The Lord of the Rings). Each character has their own unique abilities, like Batman’s stealth or Gandalf’s Illumination. You’ll need them and the world around you to solve puzzles and defeat bosses. 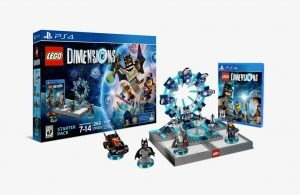 In Lego Dimensions, you get to travel to various worlds from tv shows, movies, and video games, like The Wizard of Oz, Doctor Who, and Portal, finding keystones and relics. The keystones give you new abilities that utilize the base, like teleporting and giving you elemental powers. Lego Dimensions is very interactive, as you help your heroes break free from hold spells and build the things you need. Lego Dimensions is a very fun game, with it’s interactivity, mixing video games and playing with Lego nicely, and the ability to explore worlds. The more characters you have, the more you can do. Lego Dimensions figures are kind of expensive tho, so I might not review a lot of level packs. Also, the game can be a little frustrating at times, because it sometimes doesn’t tell you what you’re supposed to do. Other than that, I highly recommend this game for any Lego fan. Click here to get the game for yourself.